This is a neat costume. 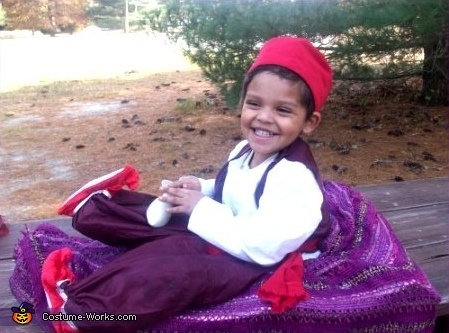 Axel as Aladdin on his Magic Carpet. A firm Carpet allows for the illusion that when Axel stands up the carpet is floating.